Put the Web to Work: Humanize Your Business with Emojis! Scroll through the first 10 posts in your social media feed. How many emojis do you see? Scan your recent text messages. This little exercise really reveals how prevalent emoji use has become! Emojis have quickly entered their way into the world of business marketing. 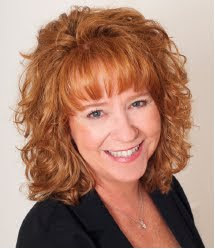 They've become a norm, not only in personal communication, but also business communication. In fact, emoji use in marketing messages has become extremely prevalent for many major brands, including Disney, Pepsi, Dominos, Taco Bell, and Coke. 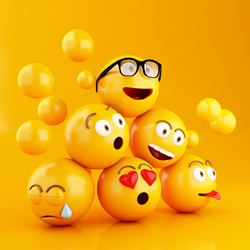 The power in emojis is their ability to humanize your message and better connect with your prospects. Emojis enable you to communicate feeling and emotion (visually) in an otherwise sterile written message. This can be extremely powerful when used properly. This is because people tend to ACT when they are made to actually feel a certain way. In other words, they act on emotion rather than words. Here, we offer some tips to help you use emojis more effectively throughout your business marketing campaign. 1. Use emojis to improve engagement. Emojis attract attention and can be very eye catching. If you send eNewsletter campaigns, try using emojis in your e-mail subject lines when generating your e-newsletters. This technique has been known to greatly increase open rates. Emojis in social media posts can also increase likes and shares, which is essential to achieving great reach. 2. Don't use too many emojis your your message. Yes, there is such a thing as using TOO MANY emojis. We're sure you've seen it ... you have probably received an e-mail or encountered a social media post that is over-filled with emojis. This can be confusing and distracting to your message. Stick to emojis that reinforce with your business message and understand that more is not necessarily better. 3. Use emojis to enhance or amplify the feel of your message. The use of emojis can add personality and emotion, but keep in mind, what works for one business may not work for yours (see our restaurant/lawyer tip above)! You also need to be aware of what your emoji choice visually communicates. 1. Know which emojis your target audience uses. Only use emojis that your audience will clearly understand and relate to. It is also very important that you know the actual meaning of the emojis you use. If you aren't sure of the exact emoji meaning, do not use it. Here's one resource! 2. Understand the appropriate CONTEXT for emoji use. It's important to understand when it's appropriate to use emojis. A restaurant may use emojis freely because they can be fun and upbeat. However, a law office may need to be more judicious with their use due to context. 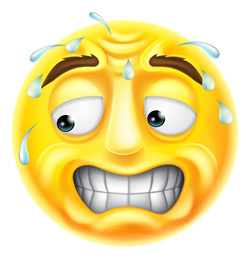 Don't be Scared of Emojis for Business Marketing! 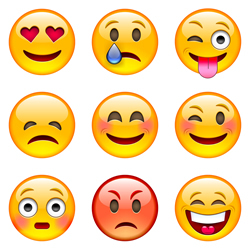 Emojis can be a great way to convey feeling, emphasis, and they can increase open rates and engagement. As with most things, keep it simple for best results! Need Assistance With Your Marketing Campaign? 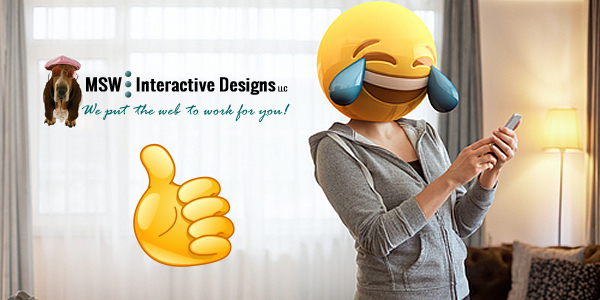 MSW Interactive Designs is here for you! The social media world is ever- changing and you may have difficulty navigating through it by yourself. Our experienced social media coordinators can help show you the way!